Wedding Entertainment The Joe Sharino Band has performed at over 600 wedding receptions and they are the most sought after wedding dance band in Northern California. 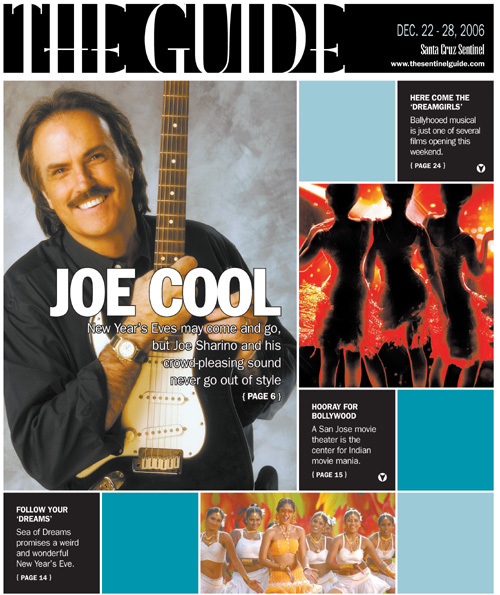 The Joe Sharino Band is well known in Bay Area locations like San Francisco, San Jose, Napa, Santa Cruz, Menlo Park, Palo Alto, Los Altos, Burlingame, Monterey and Carmel, but the band has also performed in New York, Florida, Washington D.C., Massachusetts, Ohio, Idaho, Arizona, Nevada, Utah and Hawaii. The philosophy is simple: Joe Sharino, his band and sound crew will always go the extra mile to please the people who have hired their services. The Joe Sharino Band's extensive variety of music makes it easy to please everyone! Joe is happy to consult with each Bride and Groom to help make the event flow. He can offer many helpful hints regarding scheduling, the best way to do a "first dance", bridal party tips, and much more because of the band's extensive experience with wedding receptions. Clients may choose exactly the songs you want from the band's extensive songlists and the Joe Sharino Band will even learn the songs you like best. Joe Sharino acts as emcee for all announcements, introductions of: the Bridal Party and Bride and Groom, toasts, first dance, cake cutting, bouquet and garter toss, Father-Daughter and/or Mother-Son dances. The band also plays CD's or mp3's before they perform and during breaks. While most bands take three breaks in a four hour performance, the Joe Sharino Band takes only 2 breaks which gives you more music for your event and less "down time". Joe will help you formulate a schedule for your wedding reception that is accurate and designed to make sure everything flows without the 'stop and start' disorganization which most receptions have. They also provide a wireless microphone for your announcements. The Joe Sharino Band can also provide music for your ceremony, instrumental music for your cocktail hour and dinner hour with solo performers, duos or the full band. Event professionals you can trust. "Your band is one of the most professional bands I have worked with and I would not hesitate to work with you anytime I can. The variety of music that you play suits every age group at any function. The wedding guests were very pleased and your energy levels had even me exhausted at the end of the evening. I don't think the dance floor was ever empty except when you took well deserved breaks. Thanks for helping me keep on schedule and I look forward to working with you again. I will not hesitate to refer you to any of my clients!" "What a pleasure it was to work with you. Really enjoyed your music, stage presence and your singing was awesome! Here are my comments: The Joe Sharino Band played a wide variety of music that appealed to all age groups at the wedding (7/20/02). They have a keen sense of song selection and order of music, being able to read the audience and play to the energy of the crowd...the dance floor was full all night long! Joe and his band are very professional, easy going and always smiling. The compliments from family and friends flowed with appreciation all night long. The band ended the party on a high note, leaving the audience wanting more and more. From a wedding coordinators perspective, they were great to work with and they played beyond every expectation. The bride and groom were so ecstatic about their services. I hope to work with you many times over. Perfection!" "I think your band is more than fantastic! Thank you and the members of the band for an outstanding performance on Saturday, July 27th. It was more than obvious that everyone was having an incredible time dancing to your music. The energy and excitement from the entire band definitely moved through the crowd. Thank you for allowing the groom to sing; your flexibility in allowing him to do this was such a crowd pleaser! Not many bands would have allowed for that! I appreciated your patience as the timeline seemed to change throughout the evening as speeches went long. I'll look forward to working with you and your band in the future as it was such a treat to hear you perform! I couldn't stop tapping my feet throughout the evening. As a matter of fact, please call me because I wanted to check your availability for a date next year! I am confident my clients will just love the band! Thank you again! "I just wanted to drop you a line and let you know how appreciative I am about all of your best efforts regarding the wedding that we just worked on together. Your help with the itinerary, and the professionalism of all of your members, beginning with your crew on down to your musicians was exemplary. I'm always a stickler about volume, and sound at my events. Yours was outstanding!! Not too "loud", yet the amazing vocals of all of your band members were really dialed in, and always on top. The magnificent instrumentation during the solos was dynamite. What a talent you are, WOW, not to mention also a fantastic MC. Party participation was at an all time high. I would definitely hire the Joe Sharino Band for one of my events again in a heartbeat. As an event coordinator, I'm happy when the flow of the party is seamless, and the guests are having the time of their lives. You helped me meet both of these goals. In a word, the party rocked!!!!" "I love working with you and your band! You never cease to amaze me. Your professionalism and cooperation throughout the planning process are appreciated more than you will ever know. The phenomenal celebrations you've created for each of my clients, regardless of age, ethnicity or musical requests have been nothing short of astounding. Your music suits all genres...and everyone finds themselves tapping their feet and heading for the dance floor. When the "Joe Sharino Band" is in the house, it's going to be a party! As a Certified Wedding Consultant and Event Planner, it's crucial on the day of the wedding or event to be able to rely on the "team" for the ultimate success of the event. You and your crew are the consummate professionals, always flexible, punctual, and willing to "go the extra mile". Your repertoire knows no bounds, appealing to all ages and ethnic origins and your energy and enthusiasm permeate through the crowd. I hope we have more frequent opportunities to work together in the near future." "Thanks! You were fabulous to work with, and you sure got everyone rocking on the dance floor!" "It was great to work with you and your crew, again. Throughout the night, guests were commenting on how much they enjoyed the band. I will definitely keep you in mind for future weddings." "Thanks for everything Joe! You and your band made our night so special! It was awesome to see every age group getting into the mix and LOVING the music. I cannot tell you how many people from my generation have told me how fantastic you guys were and how many from my parents generation who just about flipped when they saw you there. I don’t think anyone was caught not singing along at some point and just about everyone had something great to say about the Joe Sharino Band. I also wanted to say thank you soooo much for all of your suggestions about the wedding itself! It was great to hear from someone who has participated in so many and such a variety of weddings. We appreciated all your ideas - from the salads to the get away! We decided to work with you guys after having you play at my brother, Tyler Anderson’s wedding last May and would absolutely recommend you guys to anyone! Thanks again!" "Joe and his band are amazing! They had everyone up and dancing the whole night long. We booked the Sharino All Stars and they were great. All the guests commented on how they had never seen so many people dancing at a wedding before. Joe is a complete professional. He acted as an MC for the night announcing the wedding party, first dance, cake cutting, bouquet toss, etc. Joe confirmed with me (the bride) and my family beforehand to make sure he could pronounce all names in the wedding party - very thoughtful and professional. We sent Joe our wedding timeline and he was able to provide us with excellent suggestions as he has been involved in hundreds of weddings. Joe, we LOVED working with you and would recommend you to anyone. Thank you, thank you, thank you! Book the Sharino All Stars!" "Joe, we can't thank you enough for your fabulous performance at our wedding! You and the band were incredible! Obviously we were rocking out as we almost knocked the tent off it's foundation! People were raving and saying you guys are the best wedding band they have ever seen. We concur! Please pass along our thanks to the group. You rock!" "Hands down, the best part of our reception was having the Joe Sharino band. We had a huge range in the ages of our wedding guests, and were a bit concerned that some of the older guests wouldn't participate in the dancing, but the whole afternoon the dance floor was full of guests young and old. After the wedding we even had some of our more conservative guests tell us what fun they had dancing to songs they recognized! The music they play bridged the gap between the generations so and everyone had a blast! My 89 year old grandfather was on the dance floor the entire event! Seriously, save money on alcohol and just have the Joe Sharino Band; our guests were so excited about Journey and Bon Jovi they didn't even need booze to get on each other's shoulders or start conga lines! Moreover, and perhaps most importantly, working with Joe and the band was by far the easiest of all the vendors we encountered. Some of our vendors did great work at the cost of dealing with their diva attitudes, but Joe was so down to earth and kind and helpful throughout the whole process. His suggestions were always very helpful and reasonable and they worked with us to meet and anticipate our every need!" "Gaby and I wanted to thank you for the awesome job you and the band did at our wedding. I had several people mention to me that it was one of the best weddings they have been to and you were a huge key to making everything a success. Guests of all ages were out on the dance floor from the time you started playing until we had to kick everyone out. The sound and vocal quality of the band was amazing but just as impressive was your command of the audience. You had the crowd involved from the start - dancing, singing along, and having a blast. Inviting my bride to come on stage and play the drums was really a thrill and I appreciate you being so flexible as to allow such a great moment. In addition to the impressive onstage performance, you really made things easy for us by being the MC and introducing the wedding party and the all the various speakers. During the entire process Gaby and I found you to be really easy to deal with. You were always very professional and cooperative, you really made us feel comfortable from the first time we spoke. Many of our guests said that your band was the best they have ever heard at a wedding and we are in complete agreement with that statement. Hiring the Joe Sharino Band was the best decision we made in preparing for our wedding reception. Thanks again." "Thank you so much, it was so fantastic! I've given your name to a lot of folks at the wedding. Lot of requests for you. Thanks again." "The Joe Sharino Band was the perfect band for our wedding. We had seen them at several city sponsored events in the past, and felt very lucky to book them for our wedding. They have a great repertoire of music that appeals to all the generations from the 1940's to today. The Joe Sharino Band is always very professional, and all ages just have fun. We got a number of positive comments from our guests stating how much they enjoyed the band. For a great wedding party, we highly recommend The Joe Sharino Band!" "We wanted you to know how grateful we are that you and the band played at our wedding. All of our guests absolutely loved you guys and I have never had so much fun dancing before! Thank you so much for working with us and learning new songs to make our day exactly what we always dreamed it would be. Singing "Umbrella" at the reception was the rockstar moment of my life thus far. My husband's friends always refer to it as "epic". Thank you so much for giving me that opportunity. Our wedding would not have been anywhere near as fun without you and hiring you to play at our wedding was the single best decision we made. Thank you so much!" "Thanks for making Alexa's wedding reception such a fun and successful party. Again, your band was the highlight of a Conti wedding reception. Alexa decided three years ago when you played at her sister Alyse's wedding that you would be playing at hers and she picked a date according to your availability. Many guests told us how much they loved the band - the best many had ever seen at a wedding reception. The music makes the party, and your excellent singing, your energy level and your choice of songs quickly brought the guests to the dance floor and they never wanted it to end. There was a good connection. At both receptions, you chose songs that appealed to everyone, those of my generation and of my daughter's. Also, you have a very good sense of timing, and I appreciate all that you did to manage the flow and timing of the events of the reception. I will continue to recommend you and your band. If I had a third daughter, I'd hire you again." "I wanted to send a note of thanks for helping to make Ashleigh and Michael's wedding a night to remember! The dance floor was always crowded to the last song. The female vocalist was fabulous and the kids were pleased as were the adults. Another job well done! Thank you again." "Joe provided helpful input and was also flexible -- a great blend of knowledge and humility that made the experience great. As the event schedule changed, the band adapted without breaks to keep the momentum high. The Joe Sharino Band is a professional and superb team, and I recommend them. Joe, thank you again for your flexibility and the energy you brought to the night. We appreciated that you played straight through -- I remember you saying that our schedule seemed non-standard, but it certainly worked out! Great job MC'ing, too. Guests of all ages danced -- the band brought the energy and picked a solid set list to keep things going. Again, thank you." "Joe's band played an excellent variety of music which appealed to guests age 6 to 86. The sound quality was the best we had ever heard from an event performance. The large dance floor was overflowing with happy guests and many guests asked where we found such a great band. The only downside was that the music didn't go on even later into the night. The entire experience of working with Joe from initial contact was very professional and pleasant. We would love to host another event with them." "Everyone loved the energy Joe Sharino and his band brought to the evening. The Joe Sharino Band set the tone for our reception, playing music that appealed to all our guests, from our college friends to our grandparents to relatives joining us from Italy. One of the highlights was when the guitarist and saxophonist joined the circle on the dance floor, playing alongside our dancing guests. Everyone loved that they got right in the middle with us and joined in the fun. People could tell that they were having as much fun as we were. Our guests sang along, jumped around, and got into every song, including my dad and one of my husband's old roommates getting on stage to sing with Joe and the band. Some of our friends said that ours was the best wedding they have ever been to. Joe was so helpful in the planning process of the reception, making suggestions about what works best in terms of the timeline, the first dance and the toasts, etc. He is very knowledgeable about scheduling the order of events for a reception, and I'm thankful for his insight, as our reception flowed perfectly. Joe did an excellent job choosing just the right songs to get our guests on the dance floor and staying out there. Our friends and family are fun-loving and high energy, and the band played into that, playing songs everyone knew and enjoyed singing along to. Joe and the band were awesome to work with, and we hope we get the opportunity to hire them again soon! They are definitely the best band to choose for a wedding reception (or other event). We couldn't have picked a better band. Thank you for helping us create memories that will last a lifetime." "We had just under 200 people ranging in ages from 80 to early 20's. Most of our guests were familiar with the Joe Sharino Band and were certainly not disappointed. Planning a wedding can be very stressful, but working with Joe and his team was extremely easy. Joe worked with our wedding coordinator to work out all the technical arrangements. He picked the perfect songs to complement our guests and he had the right mix for all generations. He even learned a new song for our first dance. When we look back at our wedding pictures, we are able to see how much fun everyone had dancing, and how much the band was able to play to the crowd. I have to say when our friends and family think back to our wedding, they are not going to remember the flowers, food, the cake, the lovely location, or even the free flowing bar. They are going to remember what a wonderful time they had dancing to the Joe Sharino Band. We feel very lucky to have had them play at such an important event in our life." "Thank you for doing such a superb job, please thank your daughter, we thought she was great. All of the guys that work for you are such great people. You're a great group and you made the event; it wouldn't have been the same without you. If you ever want a testimonial, please have them call me!" "I wanted to thank you again for playing at Beth and Will's wedding. We are still getting e-mails and phone calls about the wedding and particularly you guys. All the 20 somethings are still raving about how much fun they had and our San Francisco relatives (about 25% of the guests) said they have never enjoyed dance music as much as they did that evening. Even my daughter in law's 93 year old mother is talking about it. I am sure you probably don’t really need references but if you do please do not hesitate to let me know. Thanks again on behalf of all of us." "Thank you so much for your part in making their day so special for Will and Liana. Your attention to detail and proffesionalism is outstanding. Liana told me it exceeded her expectations in every way." "I can't tell you how wonderful it was to have you play at the reception! We got so many compliments on the band (no surprise there) and it was quite obvious that Mike and Katelyn were having so much fun from the minute it started through the very end. Thanks so much for learning When You Wish Upon A Star, and especially Umbrella. All in all, it was pretty darn perfect! Thanks again Joe - I don't think I can ever say that enough!" "Kurt, myself, and our families cannot thank you enough for making our wedding at the Santa Lucia Preserve all the more spectacular! From your soft music at the beginning of the evening during dinner to your songs that made everyone stay on the dance floor...everything was perfect. We received so many compliments about your music, your personality, the songs, and your professionalism overall. We all would highly recommend you to any one who needed a great band in the future, and cannot thank you enough for really making our evening one of the best we have had. We will have spectacular memories for many years to come. Thank you again!" "The wedding day was wonderful, and the Joe Sharino Band made it even more so. I can’t tell you how many people commented on that awesome band that we had playing. No buyers remorse on our end! You guys were fantastic. Thanks for being you and sharing your gifts with our friends and family. It was a real treat and has created wonderful memories we will keep forever." "Thank you for a wonderful performance at Robin's wedding. You were absolutely fantastic and you're everything we had heard that you were. Great job." "The Joe Sharino Band played at our wedding, and anchored our fabulous reception magnificently. I was comfortable with them from the beginning, as I could tell though they would be able to do their thing with minimal direction from me. Joe was easy to work with as we were determining the set-up for the stage and dance floor, and gave us good logistical and scheduling advice. After all the planning, the band certainly did not disappoint -- they have a great sense of pacing that keeps the energy up, and even let my brother and another friend sit in and rock out with them on sax and vocals for a song or two. I've seen talented wedding bands before, but The Joe Sharino Band combines its talent with a fantastic and contagious energy that kept our crowd going all night. They were a highlight of the wedding celebration, and certainly worth every penny we paid!" "WOW! Your band is terrific! You really played your hearts out and everyone loved you! Thanks again for a fabulous evening of dancing fun. Everyone kept saying over the next several days that the band was just outstanding! Hope we get to see you again sometime soon." "We wanted to say thanks again for your outstanding job performing at our wedding. Even a year later, our friends and family are telling us how much fun they had dancing and celebrating at our reception. The variety of songs and quality of music that you played was perfect and the dance floor was packed all night! You guys are great, and truly surpassed our expectations! We would recommend your band for a wedding reception in a heartbeat. Thanks again! "People are saying our wedding reception was the best party ever, and always right after that they say how great the band was. You guys were terrific to work with from start to finish; very professional and responsive, particularly when working with the venue manager on logistics and requirements. The level of musicianship your band brings is unmatched, and people said that each song you played sounded exactly like the original. The sax and the guitar playing on the dance floor among the crowd was a real kick, and it looked like you were all having a ball from start to finish, partying with us like we were old friends. Your vocals were unmatched, particularly when you were all singing together, and your female vocalist was a knock-out; "Arethaesque" according to one friend. Most importantly, you worked the crowd like real pros, getting everybody up dancing and having a ball. The choice of music and sequence of songs was obviously finely honed from long experience, and the ebb and flow of the party was sensational. Your band is not inexpensive, but is surely worth every dime we paid. People have been asking me when our next party is so we can have you back for an instant replay! Joe, you made our wedding party a major hit. Thank you so much for the terrific music. Heartfelt thanks Joe. All the best to you and the band." "I know that you are no stranger to enormous accolades, but to say the least, we were overwhelmed. People could not stop talking about the wedding for at least 2 weeks, and then some. Nearly all of the comments mentioned your band and how you kept the party rolling, your incredible voice, the enthusiasm of the band members and Alison, etc. There were at least two other lead singers from bands in attendance, and both could not say enough! Again, while I expected greatness from the JSB, you guys (and Alison) went over the top. Pam and I would be happy and honored to offer any testimonial or reference. Thanks again." "Wow! Are you for real?! I'm seriously wondering if you were just a major highlight of a remarkable dream...Mark, our parents and I are elated with the energy, quality of music and performance, participation, spirituality and love your band exuded during our wedding reception. You made our wedding day! How do we explain our gratitude? Thank you so much." "Thank you so much. I can only say that the reviews from our guests have been fantastic. You all have the talent and energy to motivate non dancers onto the dance floor! Our friends, the Berliners were absolutely right that you and the band are fabulous! Hopefully we will celebrate many more times together. And Alison is fantastic!" "The Joe Sharino Band is the perfect package. Their acoustics are excellent, the singers outstanding, and the band members energetic and professional in appearance. Their hit songs keep guests dancing all night long! A fan favorite is the roaming saxophonist - he even gets down on the dance floor and plays between dancing guests! Throughout the planning process, Joe was readily accessible and even offered some great suggestions on songs and timing. If you want a fabulous band that will get all of your guests dancing, then Joe Sharino's band is it! We still hear what a great band we chose. Thank you Joe, for helping to make one of the most important celebrations of our life so wonderful. We are very appreciative!" "The sign of a GREAT band is when 300 people from of all stages in life are angling for their share of the dance floor...song, after song. This was the case for our wedding with the "Sharino Plus One" band. They did an amazing job of bringing out the energy in the guests all night long while at the same time respecting the flow of the evening. Countless people on our wedding night and subsequently have raved about the band! On top of their AMAZING performance, song selection, musical talent and ability to get the audience grooving, Joe is great to work with. He's a terrific communicator, very experienced yet flexible and he's great about sharing his perspective but deferring to the client. I would (and will) absolutely hire Joe and the Band again and would give them my HIGHEST recommendation!" "You and your band were wonderful. Your energy was infectious and you have the ability to get people motivated and excited to want to dance and have fun. And that's what it is all about! Your band's got such a variety and the ability to play a range of musical selections with very good voices and inflection which mirrors the original artists. In addition your band's enthusiasm in playing the selections made it feel like you guys were really happy to be there and enjoyed your experience. One funny sidelight...towards the end of the evening, two people from the other reception in the neighboring ballroom came up to Pam and me and congratulated us for the "really wonderful band." "Thanks again for helping make Alyse and Chris' wedding reception such a fun and memorable one. Everyone remarked to us about this great band we had. And you saw how many people danced and were still dancing at the end! More than just playing great music, you got everyone involved and kept everything running smoothly. Alyse and Chris were thrilled and so were we. "THANK YOU for making our wedding so wonderful - you guys are the best. I am so happy that you were able to play - I keep getting compliments from all the parents about how they are going to book you for their kids wedding! Thank you again - please don't hesitate to use anyone in my family as a reference if you need it (although I think you have plenty!)." "Joe must do hundreds of weddings, but you'd think ours was the first based upon the enthusiasm and involvement they put into Kim's event. When a friend of ours who used the Sharino Band for their daughter's wedding told my wife and I that Joe would "make the wedding great" we were skeptical, but boy were we wrong. If you want people of all ages to get up and dance then these are the guys. Add Joe's beautiful daughter Alison (with an equally beautiful voice) and you can't go wrong. Everyone stayed until the end. It was definitely money well spent. Thanks again." "You guys did a great job! We received a ton a compliments for picking such a great sounding, fun band. Alison did a really nice job during the ceremony, and spiced up the performance during the dancing, too. You guys have tons of energy! Thanks for making our wedding so fun and special." "We wanted to let you know how much the Joe Sharino Band contributed to our perfect wedding day. The music was so fantastic and we all had such a great time dancing the night away. Having Alison sing our first dance song was wonderful, too. You guys are the best! All of our friends said so, too. Thank you, thank you, THANK YOU!" "We thoroughly enjoyed your show and received so many comments as to how your band made the event. Thanks for the special efforts you made to accommodate our program and schedule. Looking forward to seeing you again from the dance floor!" "I wanted to tell you that you and the band were great at our wedding. For several of our guests it was their first exposure to your band and many told us how great you guys were. Please accept our thanks for doing such a great job in helping us make our wedding reception all that more memorable." "Where do we begin? Your performance at our wedding was just phenomenal! You moved the troops -- all 300 of them. Tony and I were thrilled to have you play and would recommend you in a heartbeat. Thank you for a fantastic job. Everyone continues to tell us how great you all were." "The Joe Sharino Band is the best, most fun, greatest band anywhere! You definitely appealed to all age groups. My little cousins, my friends, my parents and their friends, and even grandparents were constantly flooding the dance floor. I don't remember a minute when the dance floor was not packed. Everyone of all ages was singing aloud and having a great time! You also read the crowd very well and played what they wanted to hear! The vocal quality of the band was amazing, definitely the best we had ever heard. Your energy was constant and genuine. Everyone in your organization was very professional, organized and knowledgable. All your suggestions re: songs, timelines, etc. were very appropriate and helpful. All in all, our wedding day was the best day of my husband's and my life thus far. We just had so much fun! I know we have really great families and friends, but your band is what brought out the "fun" in all those people. My parents and I have been getting phone calls and cards for the past week and "FUN" was definitely the most repeated word in everyone's comments. We owe that all to you! Everyone is saying you guys are the best band they have ever heard. So thanks again! Hopefully we will have an occasion to hire your band again in the future." "I have to say the Joe Sharino Band knows how to get the dance floor moving! Bryan and I would like to thank you and your band for such a wonderful performance at our wedding on May 15, 2004, however, I really expected nothing less! Your reputation has been nothing but positive and it definitely keeps on following you. We received numerous compliments about your band and how much fun everyone had; people even commented it was "the best wedding they had ever been to". I couldn't have asked for a more perfect day. Thanks for everything Joe, you were absolutely fabulous. You will always be recommended to others." "I want to thank you for putting on such a wonderful show. You played a huge role in making our day special. Our wedding is still the "talk of the town". We have gotten cards and letters raving about every element of the party. It took my body three days to recoup from all the dancing. You have a lot more fans after that night. Joe, you were very helpful in your recommendations. The playlist was fantasic. You were at the top of your game. It was overall better than I ever imagined. In many of our guests' comments they said that we "set the bar for future weddings". I just hope there will be a family function in the near future where we can have you do it again. The day would have been incomplete without your services. Karin was ovewhelmed, too. Thank you so much for being part of our most precious day." "The Joe Sharino Band was totally fantastic! Every member of the band stood out and was multi-talented. They kept the guests dancing happily throughout the evening. People had a terrific time ("best wedding ever" some said). I even got several comments about how people couldn't believe that they were listening to a live band and not a record--that is how true they play and sing the material they are doing. In addition, the band was extremely friendly and super easy to work with. They gave us great suggestions (that we used) about how to structure key parts of our reception. Do yourself a favor, hire these guys! For an important, one-time event, you will incredibly happy that you did." "Many thanks for making the wedding so special. Your band was sensational. Young and old danced the evening away. The reception turned out just the way Brad and Jamie wanted it, a big fun party! Thanks again for making their day so wonderful. You and your band are the greatest and really know how to perform." "I wanted a variety of music to be played at my wedding and that is exactly what the Joe Sharino Band gave us. Our guests knew every song that was played and most people danced to EVERY song. The energy of the band was wonderful! The best moment was when the saxophone player came onto the dance floor and did a gut renching solo. The crowd loved it. From the very first song the dance floor was packed and it stayed packed the whole night. Everyone loved the band!!! We received so many flattering comments about how lively and wonderful the music was at our wedding. The Joe Sharino Band MADE our wedding!!! We even had one relative tell us it was the best time she has ever had and another young relative tell us our wedding was more fun than both her proms. We know it was because of the music! Joe was very knowledgeable when it came to the type of music to play and the overall flow of the reception. He was a big help and gave lots of great tips. I couldn't have asked for a more cooperative and accomodating band. Joe's knowledge of music and the flow of a wedding reception made it really easy for me, the bride." This next quote is from a couple who hired The Sharino All Stars, our 8 piece band, complete with two female singers and a full horn section. "We have received such great feedback about "the band" and how awesome you all were! In a nutshell - we couldn't have been more thrilled or have gotten a more spectacular band than The Sharino All Stars!! Their performance at our wedding reception exceeded our expectations- and we already knew that they were fantastic! The music appealed to the various age groups of our guests, which had EVERYONE out dancing their hearts out to the very end - including my 90 year old grandmother and grandfather, who got up and boogied and they haven't danced in decades! Our guests had the time of their lives and months later are still talking about what a great party it was, especially due to the fabulous band. It was a delight from start to finish to work with The Sharino All Stars. They are professional, energetic, and their vocal quality is second to none. We enjoyed working with them so much we are looking for another event just to hire them again!!" "The Sharino Allstars stood head and shoulders above the other bands we interviewed in the one most critical attribute...their enthusiasm and energy...they love what they do, it showed in their performance. No question, Joe and his band have a distinct knack for judging their audience and connecting with them through their music. They got the entire party onto the dance floor, loosened everyone up, and then kept the momentum going all night. We couldn't be more thrilled with their performance at our wedding. Our guests are still raving about "the great band". Joe -- thanks so much, you and your band made our reception evening truly phenomenal." "We could not have been more pleased with the gracious warm, relaxed and FUN mood you provided for Debbie and George's reception. You were given RAVE reviews by a very happy crowd who truly could have danced all night. Working with you was a delight, Joe. Don joins me in sincere thanks!" "You and your band are fabulous! Thank you for entertaining all of our guests at our wedding. The selection of music was perfect and we could not have been more pleased. I appreciate the way you and your band members let us know what was next on the schedule and were able to adjust timing as necessary. My parents are still raving about the wedding and have commented many times how happy they were with the band and the wide appeal of music played. Thank you for helping make our wedding so successful and so much fun! We will continue to recommend you to all of our friends." "What can I say, the Joe Sharino Band rocks! Everyone out here in Hawaii is still talking about how great the music was. The Joe Sharino band really knows how to get people on the dance floor and they were so much fun to work with. Both the young and the old were rockin' to their tunes all night long. They were extremely professional and I would highly recommend them!! They added so much feel to our special day and we can not wait to get our wedding video back so we can relive the moment. Thank you all for being so wonderful. Best of luck to you all and ALOHA!!" "We send our loud and enthusiastic applause to you and your band members. The outstanding entertainment you provided at Glen and Amanda's wedding was enjoyed by all our guests. As you all saw, the dance floor was crowded and jumping... I can only imagine that now, a week and a half after the wedding, if you were still playing, we all would still be dancing and singing! Thank you for sharing your great talents with us and we look forward to seeing the Joe Sharino Band very soon." "I have nothing but great things to say about you and your band. Everybody that I have talked to loved you, and they said it was the best band they had heard in years. You helped make my day so perfect and we all had so much fun. I really liked it when your saxophone player came onto the dance floor. I wouldn’t be able to pick any one song that I love because you did a great job on all of the songs. I would have to say that I do not have one complaint. I really appreciated your help in picking out the songs that we were going to use. You made the day run so smoothly and perfectly. Thank you again for everything, you were great!" "Alyssa and Jason will be contacting you. They were so thrilled by your band's performance--as were Bill and I--we all had a fabulous time at our own party!! You know, looking back on it, the wedding involved a year of planning to find the perfect venue, the perfect dress, the perfect food, etc., and also the perfect band. You came so highly recommended by friends who had attended weddings where you performed, but it was really a leap of faith to hire your band without hearing you ourselves. My concerns were totally unfounded, because the Joe Sharino Band is the perfect band! Your band's skills as musicians and your ability to emcee and get a crowd of 250 people to dance the first dance, and then every dance thereafter is truly remarkable! One month later we are still getting compliments about the great evening. Thank you all so much for making our reception such a fun and joyous event for our family and all our guests." "I have nothing but great things to say about your performance at our wedding! Your timing of the reception was great and the song choices were perfect. I had alot of people tell me they loved having a live band, and so did Larry and I. I had more than one person tell me that they haven't danced that much in years! Everyone had a great time and you sound great on the video! I am so glad that we decided to go with your band, and would recommend The Joe Sharino Band to anyone." "Wow! What a party! Everyone thought the band was simply awesome and so talented. The Joe Sharino Band had everyone on their feet from the minute our wedding reception started and the dance floor was packed all night. They played a wide variety of songs that put all of our guests in the mood to boogey down. Joe was so easy to work with and definitely knows how to read a crowd to keep the party going. We have been getting countless phone calls and cards from friends and family ever since our reception raving about what a great party it was. Many have said it was the best wedding they have ever been to and I know that the Joe Sharino Band had a lot to do with making our party such a memorable celebration. We would love to have another occasion to celebrate to invite the band back again. We give them our highest recommendation." "Joe Sharino band was a huge hit at our wedding. We had a variety of ages and music style interests at our wedding and they were quickly able to read the crowd and play songs that kept everyone dancing. I was amazed that every time I looked around the room very few people were sitting down - they were all dancing! We had numerous comments afterwards along the lines of "the band was really great". I believe that a band can really make or break the reception and the Joe Sharino Band really made ours - from the pre-wedding planning and advice Joe gave us, to the emceeing and smooth management of timing/events, to the fantastic, high-energy music they played - loved it! We would hire them again in a minute." "Could you ever fathom the idea of having a police officer visit your wedding reception site explaining to you, the bride, that the management of the venue never got a permit to have live music after you have hired the most phenomenal band to play for your 175 guests? Well, it happened to us. Imagine dancing and singing with a band that you only dream about while planning a wedding. Guests are in awe of the Joe Sharino band as they are playing instrumental music during dinner, they are commenting on their talents as they begin to sing their first set, and I am in a dream as they play a song for us, that they specifically learned for our day. Their first set is incredible as EVERYONE is dancing, singing, and enjoying themselves due to the energy, talent, and song selection. Family and friends who have traveled near and far are having a memorable time, capturing every moment as the Joe Sharino Band creates an unforgettable scene for all guests. The band breaks. The police officer arrives explaining to me that the band is no longer allowed to play their instruments, due to the lack of permit that the venue management forgot. Needless to say, we were very upset with the management of the venue, but the Joe Sharino Band stepped forward and continued to perform WITHOUT touching their instruments! For their entire second set, they played acapella, vocals only, never missing a beat, giving 175 guests a scene they will never forget. From the moment we hired the band, to the moment we said good-bye, the Joe Sharino Band was a dream come true. We will forever be thankful for their professionalism, talents, and personal interest in us and our family and friends. Every unmarried couple at our wedding is ready to contact the Joe Sharino Band for their own wedding!" "The party turned out great. Some of my wedding guests liked the band so much that they are now going to hear you in April at the Westin Hotel. I really liked the touch where you came down and sang right in the middle of the people on the dance floor - it was like you were really part of the wedding. I may sound like a broken record, but your band made the reception. I had several people say that it was the best reception they've ever attended, and one lady said she's never stayed till the end of a reception, and at this one, she didn't want to leave. Thanks again. You may use my comments for your website. I really mean them." "Jeff and I just wanted to thank you for doing such a fantastic job at our wedding! You had everyone out on the dancefloor all night and our friends have been telling us about how much fun they had! Also, you were a huge help in keeping the flow of the evening going! Thanks so much for everything!" "I wanted to give you our sincerest thanks for doing such a great job at our wedding. Everyone had a great time (as you could probably tell!) and the music had a big part in the success of our big day. We really appreciated you taking the time to learn some new songs for us (which I think were a hit!) and for being so flexible as an emcee. You really helped the day flow nicely and definitely added to a memorable night in our lives. Thanks again to you and all the other band members for a VERY FUN night!" "You guys did a fantastic job! The sound was perfect, and everyone loved your mix of music. I'll definitely keep you in mind when I hear of someone that needs a great band for an event! Thanks again." "The Joe Sharino Band performed at our wedding and they were AMAZING! They have an incredible selection of songs and expertly play them all. From high energy dance music to romantic slow songs, the Joe Sharino Band entertained our family and friends beyond our highest expectations. The Santana songs were incredible! The dance floor was filled with guests of all ages and the Band interacted wonderfully with everyone. In addition to their musical talents, Joe deftly handled all the reception announcements, entertainment timing and made great musical recommendations to keep the party rocking. His experience and assistance in these areas was an invaluable asset. From the first planning session through the event itself, Joe was a complete professional and a pleasure to work with. Thanks for a great job!" "With a big reputation to live up to, the Joe Sharino Band exceeded my expectations in every way! Prior to our wedding reception, I had read up on this somewhat legendary group and they were every bit the consummate musicians and professionals you would expect. Not only was the band's selection of music well suited to a dance-crazed audience of all ages, Joe and his gang took extra time to learn songs requested by us. All night people kept saying what a great band we had chosen, but that was obvious by the fury of tail shaking on the dance floor. Thanks for everything, Joe!" 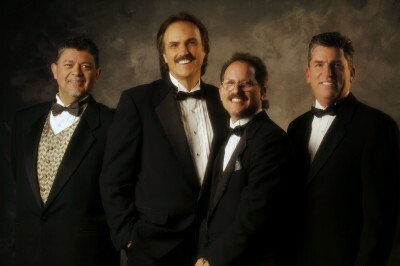 "I want to thank the Joe Sharino Band for a wonderful performance at our wedding July 20th. Everybody loved the band, and when you played "Unchained Melody", it was so good that my mom thought it was the actual CD recording playing. Since the wedding I have received numerous raves about the band. The dance floor was packed the whole night, even my husband's 80 year old grandparents were on the floor for quite a few numbers. The female vocalist you added was wonderful as well. The energy of the band was awesome, our guests at the wedding were singing along and dancing up a storm. It made for an unforgettable wedding experience. Thank you Joe Sharino Band!" "When David and I planned our wedding we decided to choose your band because we had heard you play many times in the past and we always had a wonderful time along with all our friends. Alot of our guests were thrilled when they found out we were having your band and thought that they could never afford to utilize your services. However, I told them my philosophy was that choosing the band was the most important part of their guests enjoying your wedding- they will never walk away talking about the cake, photographer and flowers but will always remember having a good time. I had twenty of my relatives from Philadelphia ranging in age from the twenties to eighties at the wedding and they loved the band! Your band appeals to people of all ages. My best friend from college commented that she and her husband hardly ever dance because they are not very good dancers, but the band was so good they danced practically every dance and it was the best wedding they have ever attended! You were very helpful in choosing songs and the timing of when the music should be played. There was no question that we could count on you which let us concentrate on the many other things we had to do. You were great to work with and certainly made our special day one to remember." "Thank you for everything - you were AWESOME! Everyone loved the band - Please feel free to have people call us for references. You helped to make our wedding the best day ever. Here are our comments: Joe was very professional and helpful leading up to the event. He was always available for suggestions and helped us immensely with his experience. We hired the band sight unseen and they were even better than all the referrals from the website. The sound was great, not too loud for the older generation, but fun for the younger generation. All of our guests called to say they could not stop dancing and everyone young and old stayed on the dance floor all night. We would recommend the band in a heart beat; so easy to work with and they really put on a very professional show. Joe went out of his way to make sure everyone had fun and it truly seemed like the band was having a great time too! We could not have hoped for a more fun reception! Joe is not only a great musician, but you can tell he loves what he does and cares a great deal about understanding what his clients are looking for. We hope we can hire Joe and the band for any major events we plan for the future." "Wow! That is the word that comes to mind when thinking about the Joe Sharino Band! Joe gave us tips on how to keep the wedding flowing, ideas on fun ways to unite the guests and Joe is the master of all emcees. When the music started, the crowd got moving...and didn't stop! Everyone of all ages, 75 on down, were "movin' to the groovin'"! The band was fun, energetic and professional. We were overwhelmed with the amount of notes we received telling us how much fun they had. Some said, "I haven't danced that much in years!" Others said "You got the Joe Sharino Band - WOW, they are a Bay Area icon!" and "They did every song perfectly!" So, if you ever need a reference, you know you can use me! We had the time of our lives." "You were fantastic, as expected! We received so many compliments about how much everyone enjoyed themselves. Your song selection and variety were perfect! You and the band played songs from each of the eras represented by our wedding guests - from the 1950's through to 2001. The band's energy level was indicative of how much they enjoy what they do. This energy was also reflected by our guests - each of whom had a fantastic time. Joe is professional and a pleasure to work with. It was the one area of our wedding planning that we never worried about (and that's saying something!). Joe helped guide us through the sequence of events for the wedding reception. If we can make a recommendation to those that are lucky enough to book the Joe Sharino Band for their event it is this: Joe knows what he's doing and has more experience in this business than you and all of your friends and relatives combined, so trust him and prepare yourself for a good time! It has been 2 months since our wedding and we are still receiving compliments from everyone. We would absolutely recommend the Joe Sharino Band to anyone that wants the best for their event. We planned our wedding so far in advance we had our choice of vendors. We selected the Joe Sharino Band and could not have been happier with our decision. The Joe Sharino Band certainly made our wedding reception one that will always be remembered. If you would like, you may use my e-mail address for references." "We put a lot of work into our wedding and ended up with a fabulous group of vendors. We would definitely rank the Joe Sharino Band at the top of that list. You made our lives easier by being so wonderful to work with and even helping with non-band related wedding issues. We were amazed that when the band finished at 12:30 AM, not only were 95% of our guests still there, but everyone was on the dance floor and no one wanted to leave. Many people commented that they had never seen so many people dance at a wedding and that you were the best band they had ever seen. We have to agree. While we definitely busted our budget a bit on the band, the Joe Sharino Band MADE our wedding. It was worth every penny." "You were outstanding at our wedding. In fact, you have received rave reviews! Our guests could not have been more pleased with the music, the band, and the atomosphere of enthusiasm that you created for the dance floor. Everyone danced and really enjoyed the night. Thank you again! "We originally saw your group perform at a friend's wedding and the thing that struck us the most was that people of all ages were dancing and enjoying the music. As you know, that's probably the thing every bride and groom want to make sure of most and it was surely true at our wedding also. It seemed as if everyone was on the dance floor the entire time you were playing. The musicianship and vocals were great. You were extremly accomodating and easy to work with, even when we changed our first dance song at the last minute! I received a ton of positive comments about the last song where you had us dancing in a circle to New York, New York. I would absolutely recommmend your band to anyone who wants to have a great wedding and know for sure that the music is in good hands." "The band sounded and looked great. They were are also very professional and a pleasure to work with. Every one of our guests had nothing but good things to say. Everyone had a great time. Some even mentioned that they were sore the next morning from dancing so much! The song selection was great. There was a wide variety so that everyone from grandchildren to grandparents were able to hear their favorite tunes. Joe and the band were very upbeat and kept the guests dancing all night. There was never a moment that the dance floor was empty. Joe and the band were very easy to work with. Joe returned emails and calls promptly. He also had lots of great suggestions when helping us plan the flow of events at the reception. Many of the things we would not have thought about if Joe had not mentioned them. Everyone had a great time at our reception and cannot stop talking about how much fun they had. If you are looking to throw a memorable event you definitely need to hire the Joe Sharino Band. Joe, thanks again to you and your band. Our wedding reception would not have been as big a success had we not had such a wonderful band. Thanks again." "Our wedding was a perfect affair due to your band's amazing performance! We expected to have fun, but you provided a customized elegance, even learning and performing our favorite song. Your group reached a multi-generational audience and had us all dancing; we couldn't be happier with the occasion! To those searching for more than just a wedding band, we looked into many groups and eventually went to see the Joe Sharino band play in front of a benefit concert to 10,000 where they absolutely rocked. They have both a comprehensive list of songs, and have the flexibility to accommodate with personal requests. Our guests universally agreed that the music was phenomenal. Joe helped us organize our choices and selections and provided background music during hors d'oeuvres and dinner. We are ever grateful for the excellent entertainment provided by Joe and the band; honestly, having been to many excellent weddings in the San Francisco Bay Area, we feel lucky to have found what we consider to be the best band.... With much thanks and gratitude,"
"You made the planning of Amanda's wedding very easy in regard to the communications we had with you and your willingness to work with her on the various songs she wanted you to play. Our friends are still talking about the great time they had at the reception and it has been three months since the wedding! Your interaction with the audience was great and one of the comments we have heard from everyone was that the dance floor was never empty and always full of energy. Thanks again for making Amanda and Mark's wedding a memory that will last forever!" "We have heard from countless numbers of people telling us how great you guys were! Everybody loved your style, your music choices, and your interaction with the crowd. Diana and I are so glad that so many people had fun, and you and your band were huge contributors to that feeling. You guys were very flexible, and were able to easily adjust to our schedule. That was very much appreciated. Your music selections were very good for a large group, with lots of variety. There was something for everyone. We especially enjoyed your guitarist and sax player coming out into the crowd for some solos. It truly made the performance special. I would tell anyone that was planning a wedding to check your schedule first, so they can be sure to get you on board! Hopefully, we will meet again. Thanks again for being such a great bunch of guys!" "We wanted to thank you for playing at our wedding. You were obviously a big hit by the fact we had to drag the guests off the dance floor! Everyone couldn't stop talking about how much fun they all had. Mark and I had a blast and we thank you again!" "The Joe Sharino Band was absolutely fantastic. All our guests commented on how great the music was. I've never seen a fuller dance floor at any other wedding. Joe was also very professional to work with. He eased all my fears and assured me that he would take care of the logistics and make sure things would run smoothly. Thank you to Joe and his band members!" "Thank you again for the great show. Your performance was amazing and all of our friends and family were amazed by how much fun you were. The energy level you guys were able to maintain was outstanding--you truly kept everyone dancing all night long. And your song selection included something for everyone, from classics to contemporary hits. We have some great pictures of our friends up on stage singing along with the band, and it was great how well you interacted with our guests -- joking and laughing and getting people to sing out loud. The Joe Sharino Band will always be at the top of our list if we're ever asked for a recommendation of a great party band. Meg and I would definitely hire you again! Thanks for coming all the way up to Tahoe for us." "We have continued to receive compliment after compliment about your band's performance at our reception! We can't thank you enough! Everyone, both young and old, felt you had tailored the evening especially to them. A close friend said "that band had me dancing like a fool all night!" Others told us that they kept trying to sneak away for a break or a visit to the bar, only to be lured right back onto the dance floor by some infectious tune. Loved your sax player leading the conga line through the Ahwahnee Hotel! Jenn's father always says, "That band was fantastic!". You've got the right mix of class, professionalism and fun." "The Joe Sharino Band did an outstanding job at Tom and my wedding. The pace and choice of music were excellent. We continue to have comments from friends about our wedding such as: "It was the best wedding I've ever been to. ", "The band was excellent. ", "I love Joe Sharino". Joe and the band were extremely accomodating in helping us set up a successful wedding and advised us on how to keep the party moving. The band's enthusiasm is contagious! Thanks again!" "You and your band made our wedding! Your timing with the "spotlight dances" and choice of music were perfect. Everyone at the wedding was on the dance floor (I have the pictures to prove it!). Guests were asking me, "Where did you find this band?!" I especially want to thank you for your patience and help with the planning process. All of your suggestions were right on. I could never have done it without you. I would recommend you and your band to anyone who wants to have a blast at their own wedding!" "Great job! You couldn't see the dancefloor at our wedding once the whole night! The thing we really liked about the band was that they can do anything from Sinatra to Van Halen, the variety of music was fabulous! Joe's a great entertainer, he engaged the crowd and kept everyone coming back for more. The entire experience was a pleasurable one, and we would hire the Joe Sharino Band again in a heartbeat! Thanks guys!" "The Joe Sharino Band came highly recommended. We saw them play "live". We heard our favorite tunes and we were suddenly part of a sea of people on the dance floor. We knew then that they were the right band for us! With 250 people at our wedding, they played just about every song that someone wanted to hear throughout the evening. The dance floor was never bare. Now, months later, I'm still hearing that our wedding was a hoot and that the band was awesome! This came from people of all ages. Exactly what we wanted!" "You may not remember us, but we will never forget you! Your band was absolutely fabulous! I couldn't get off the dance floor. Thank you so much for bringing such fun and liveliness to our wedding. We especially appreciated you learning our songs. What a wonderful way to start a marriage!" "Thank you for being such a big part of the success of our wedding reception. We've received so much positive feedback about how much people enjoyed you and your band! From young to middle aged to old, everyone had a blast and there seemed to be something for everyone! Every time I looked up to where people were supposed to be sitting, there was no one because they were all on the dance floor! We really enjoyed how the sax player came down on the dance floor and played, too. It was great how you personalized the whole night. The band really seemed to get into the crowd and vice versa! Thanks again!" "You are the very best! I wish we had more kids, I'd have you play at their weddings! It couldn't have gone any better and you made it so easy with your help in the planning and scheduling. Our friends all said it was the best wedding they've ever attended. Thanks again." "Thank you so much for playing our wedding. Once you started playing, everyone just danced until the hotel made us all leave! I was really amazing at the depth of songs to choose from in working with you. Everything from the first moment we contacted you was professional and trouble free. It is too bad getting married is once in a life time because we would love to do it again. How about the anniversary party?! Again, thank you so much!" "Thank you very much, excellent job! All our guests had a wonderful time dancing and we have the photos to prove it! I really appreciated your returning calls promptly and all your suggestions regarding the order of events. We feel extremely fortunate to have had you as the band at our wedding. We would have no reservations in recommending you and your band to our family and friends." "The Joe Sharino Band is AMAZING. We chose the band based on their tape and the positive recommendations...best choice we've ever made! He completed our wedding in a way we never imagined. Everyone danced; people of all ages. The music was perfect." "It was great! Everyone loved it from children to my mom and dad who are 70 years old. Our family and friends were very impressed. They are still talking about the great time they had and how good the Joe Sharino Band was! We enthusiastically recommend the Joe Sharino Band for a really fun time and a memorable celebration." "You guys are without a doubt the hottest sound happening when it comes to having a great celebration! You rocked the house! Our wedding would not have been the same without the Joe Sharino Band. Thanks for helping to give us a day we will never forget!" "You made our wedding with your fantastic band! Everyone danced and loved the music! You tailored the event perfectly! You are incredibly talented and we will never forget what a great job you did!" "Everyone's still talking... not about the food, the ceremony or my dress... about your band! Special thanks to the sax guy who played solos out on the dance floor and on a table! Great job!" "The comments keep pouring in about your band's great singing and the way you got us all involved!" "You guys were so great at Amy's wedding. I had lots of people tell me that the music really made the wedding. I sure had a great time and I'm sure everyone the did too. Please pass on my thanks to all the band members and also your crew. I have 3 more children to marry off so someday we will do business together again!" "I just wanted to let you know how much I appreciate all your efforts for our wedding. Your patience and understanding with me during the planning months definitely paid off because everything turned out perfectly. I couldn't have asked for a better evening. And we definitely couldn't have pulled it off without your amazing ability to get the crowd going. Ron and I can't thank you enough." "Without question, your band's versatility was the biggest hit of the party. Everyone had a marvelous time, nobody left, and people are still telling stories today. We have been told that several neighbors ended up having their own parties outside dancing to the music. Without hesitation, I would recommend "The Joe Sharino Band" for any type of event, especially a wedding. I hope to see you this year." "What a great time we all had at Jana and Pat's reception. You and the band were terrific. You have a wonderfull reputation and it is rightly deserved. So many people came to me and said the band was fabulous. You were!! Thanks so much for being a part of our PERFECT day." "Great job! Thanks for being so adaptable to our requests and schedule... and no one left early!" "Thank you and your band for the wonderful job you did at our wedding! We've received so many compliments - everyone loved you! We'll definitely recommend you!" "Excellent job at Michelle's wedding! Your professionalism was most appreciated." "Thanks for making our reception so special and memorable and special with your excellent music and voices. Thank you for putting the extra touches into your performance like going into the crowd and accomodating our special songs! "Thanks much for your excellent performance at the wedding! Everyone was impressed. I personally had many people tell me that your band was the best they have ever heard."